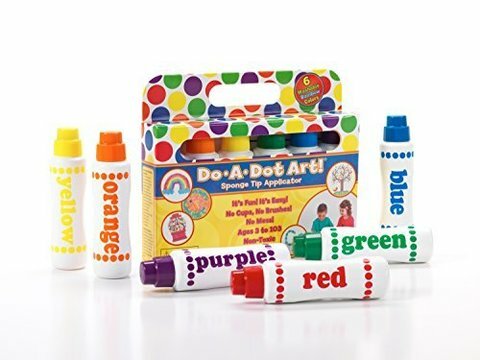 THE ORIGINAL DOT MARKERS that all the kids love! MADE IN THE USA: The brand that parents and teachers have trusted for 25 years. Our products are made exclusively in the USA in the factory where quality and safety come first. All of our markers are NON-TOXIC and use only the highest quality materials to ensure kids have endless fun, and parents and teachers have piece of mind. All Do A Dot Art markers are GLUTEN FREE and LATEX FREE. VIBRANT COLORS: The colors are the bold and bright. With generous 2.5 ounce bottles Do A Dot Art! 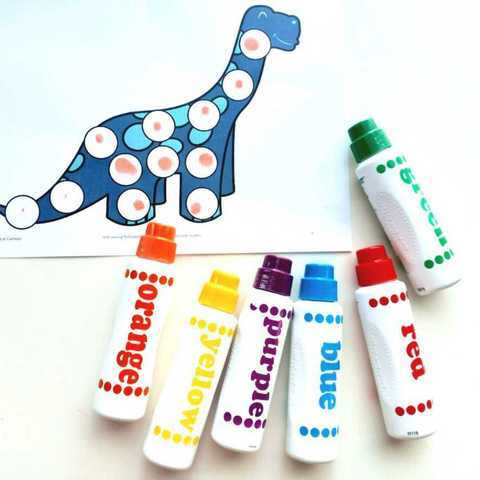 makers have MORE PAINT per bottle than other dot markers. Just twist off the cap and let the creativity begin. LARGE DAUBER TIP: Do A Dot Art! markers have a PATENTED large sponge tip dauber engineered to be mess free, never dry out, and make a perfect dot every time. Kids love mixing, blending and layering colors to create their own masterpieces! SENSORY IS IMPORTANT: All children can benefit from sensory play, and our scented markers are perfect for those children who are stimulated by sight, sound, and touch. Designed for layered learning, which gives children the opportunity to do original planning and thinking while creating expressive art, developing hand eye coordination and color recognition. Easy to use, and perfect for toddler, preschool and kindergarten arts and crafts. 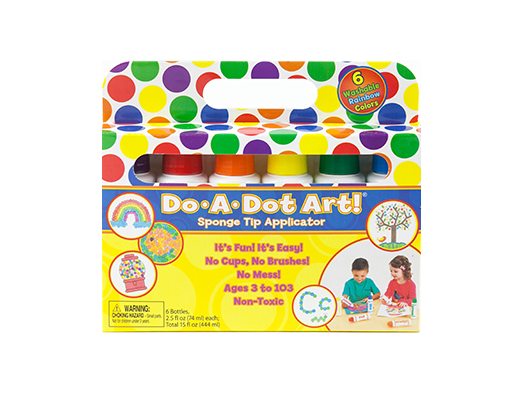 Click HERE to search for other Do-A-Dot Marker products.